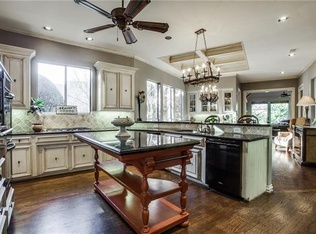 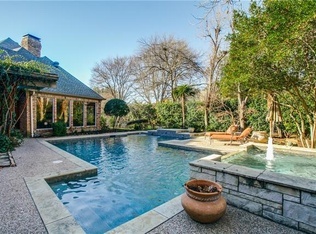 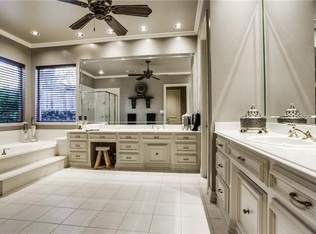 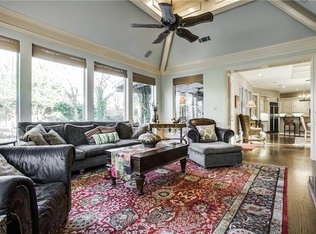 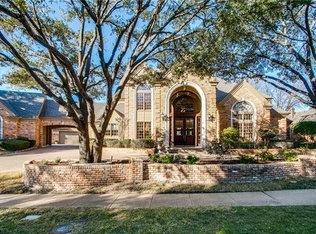 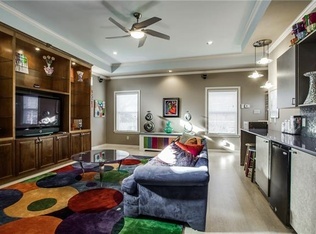 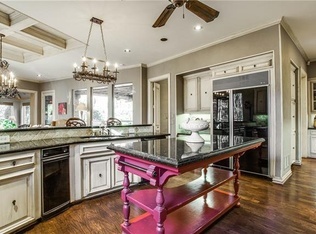 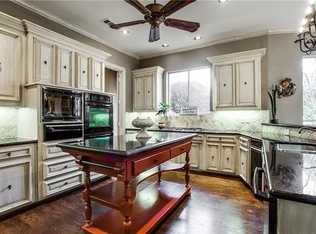 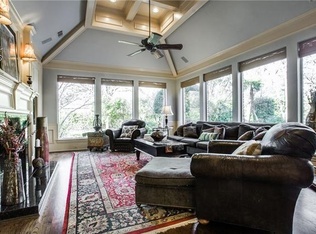 Plano Custom Real Estate | Great home on oversized half acre, cul-de-sac, greenbelt lot. 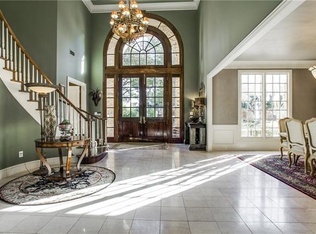 Circle drive, porte cochere, FOUR car garage. 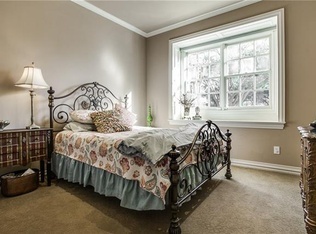 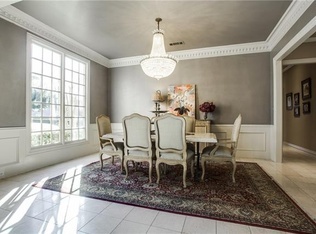 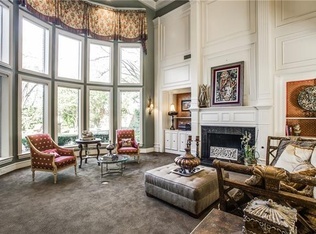 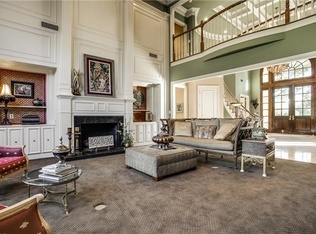 Rich palette, exquisite moldings & woodwork thru-out. 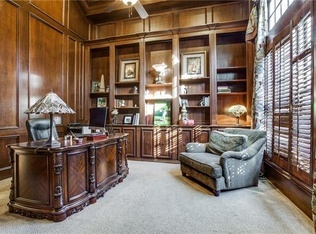 Private study w- plantation shutters. 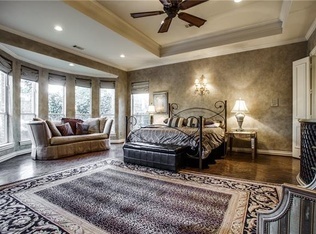 Master suite w- trayed ceilings, his-her walk-in closets. 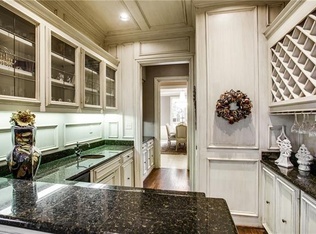 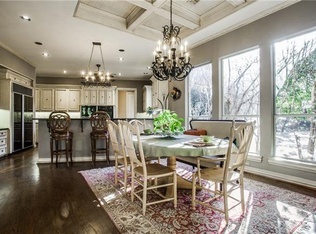 Kitchen w- tons of cabinets, granite, tumbled stone backsplash & bar seating. 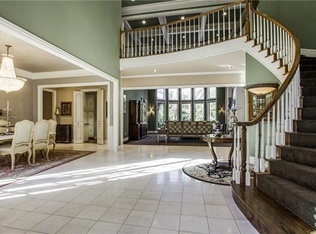 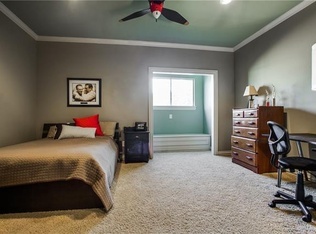 Separate staircase to bonus room – great for teenager hangout! 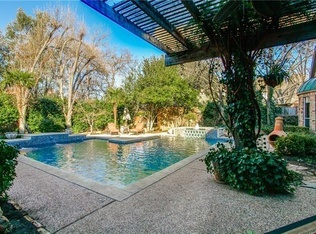 Pool, dog run, pergola! 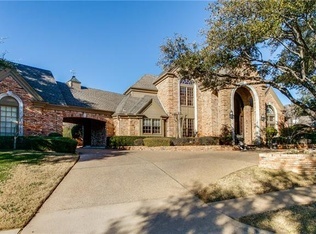 Walk to Golf Course!